An employee break room is a great way to show your employees that you value their hard work. Employee break rooms have been shown to actually increase productivity because they provide employees with an opportunity to "escape" from the workplace for a short period of time and recoup their energy stores with snacks, beverages, and conversation. Maintaining a high quality employee break room does constitute a significant investment; however, there are ways to cut down on the overall cost of an employee break room. One great way to save money while still providing a break room for your employees is to cut down on the energy used in your break room. 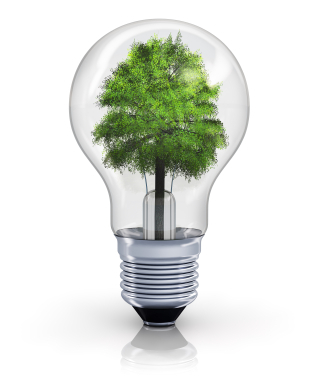 Saving energy offers two very distinct benefits to employers. First, cutting energy will help to reduce spending and preserve profits. Because energy costs are continuing to rise, businesses with large office spaces are racking up huge energy bills each month. Using energy is expensive, and cutting back on the energy used to power lights, heating elements, and lights in your break room can seriously cut into your business's profits. Saving energy is also beneficial to the environment as a whole. Businesses that are serious about "going green" can win customers and clients simply because of their environmentally conscious efforts. When you save energy, you promote an ideal that is very attractive to prospective employees and to consumers. Here are some simple ways that you can save energy in your office break room. The biggest energy drainers in an employee break room are usually the appliances provided to store and prepare food. A refrigerator, for example, can use massive amounts of energy in a single day. Because a refrigerator is running at all times, there is no way to shut the appliance off to conserve energy. Instead, it's a good idea to invest in energy efficient refrigerators that provide superb cooling and insulation even while consuming less energy. Energy efficient water heaters can also help cut energy costs. Changing the appliances in your break room for energy efficient appliances will save you hundreds of dollars each year. One of the simplest ways to cut back on energy usage in a break room is to make sure that appliances like microwaves, ovens, and stove tops are turned off when not in use. This will not only help to conserve energy but also eliminate dangerous fire hazards. Installing a programmable thermostat in your break room can save you hundreds of dollars on energy costs each year. Heating and cooling a break room consumes a great deal of energy, and this is problematic because a break room is only used at specific periods of time during the day. Therefore a programmable thermostat is a great investment. It can be programmed to turn on the heat or air conditioning immediately before employees use the break room, and turned off at the end of break time. This way energy will not be wasted when the room is not in use.